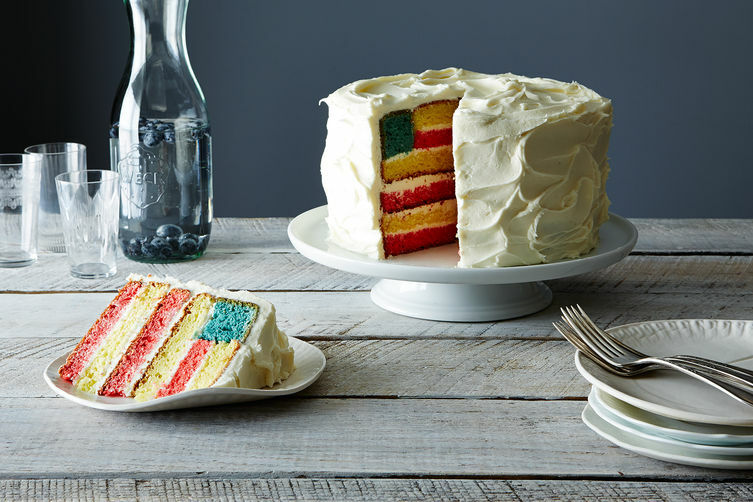 4th of July cake! Actually less challenging to make than I thought. Happy 4th, my friends! I'm quite pleased to share a birthday week with our all-things America holiday. Here's hoping yours includes a few cookouts (barbecues if you're in the South), a chilled beverage of choice, and some time in the sun. Mine will include family time, rounds of telefunque with cocktails, a visit to the Cape, catching up with hometown friends, Marylou's coffee, Wilburs ice cream, and theatre in Boston...those things sprinkled over the baseline of BEACH, of course. This doesn't bother me, but it is interesting: take a look at the age gap between Hollywood's leading men and their on-screen love interests. Pure Wow did a list of their favorite book set in each state. Happy America day indeed. For an interesting look at global beauty standards, this woman had her face photo shopped in 25 different countries. Ew, US.